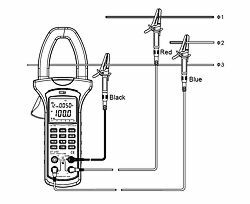 The PCE-UT232 power analyser is a multifunctional device. The power analyser covers almost all your needs. It can measure power from one to three phases like an active energy counter up to 9999kWh. 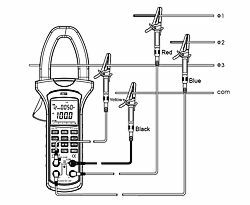 To minimize the amount of interference created by engineers in the operation of machines, a test device is required that can measure voltage, current and power. 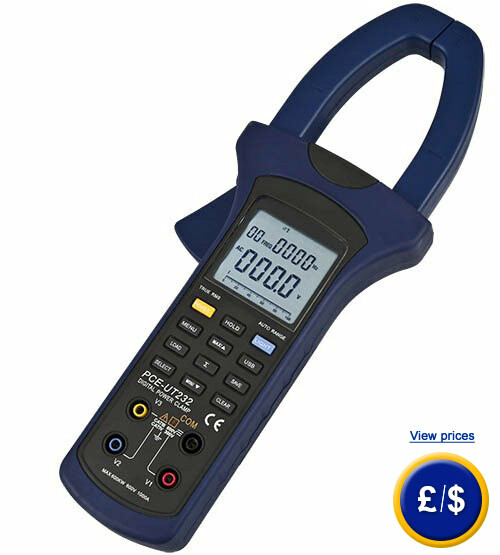 This power analyser is ideal for performing all of these measurements. Its internal circuitry, adapted to the most advanced technology, guarantees a quick and very accurate analysis of the different factors of power which permits the user to solve potential problems. Readings obtained by the device can be sent to a computer to be processed. 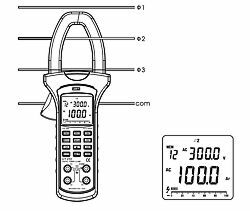 The power analyser comes with everything that you will need to use the device to its full capabilites. Here you will see a triphasic power meter with memory and software. 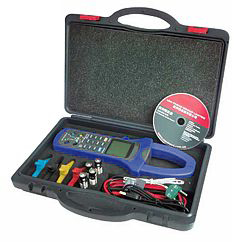 This link shows an overview of all power analysers we have available in our online shop. The power analyser for measurments of 0.0 to 600kW / 0.0 to 1,000A. The large backlit display shows several readings simultaneously. The ISO laboratory calibration includes a certificate to meet with internal ISO quality control. 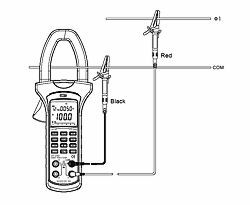 The customer details also appear in the calibration documentation.